Time and time again leaders watch as pivotal moments get forgotten and real opportunity to play at a new level fades away. Here’s how to stop that from happening. We’ve all been there. You turn up to the annual team offsite meeting. You suddenly remember what happened at last year’s meeting. Or rather, what didn’t happen. The team had enthusiastically written a bunch of “game-changing” actions and initiatives on the whiteboard. And now, a year on, practically nothing has changed. Or perhaps you did some team development work, but the new behaviours the team committed to are completely forgotten. This can happen with the best of intentions. I’m working with a fantastic, senior leadership team. We made significant progress over a three-month period, and we were seeing gains in collaboration, alignment and stronger ownership of key business goals. But - year end happened, there were some contractual delays, then there was the start-of-year kick-off season. Before we’d noticed, four months had passed without any follow-up. Of course, momentum and focus took a huge hit. Strong, strategic leaders are an incredible asset - but they can easily and permanently undermine the long-term success of the team. Here’s how you can avoid this common but often unseen pitfall. I was working with the Senior Leadership Team of a UK company. 10 experienced people around the table, including a phenomenal, brilliant high-performer as their leader. Two people were taking up 50% of the “airtime” and engaging in vigorous debate. Add another two people, and 80% of the airtime was accounted for. That meant that six people’s contributions (60% of the team!) were squeezed into the remaining 20% of airtime. A recipe for disengagement, silo-thinking and underperformance. Now, we solved the issue but it’s important to understand what the dynamics were that created this problem in the first place. I’ll explain that in a second - but you need to understand the power of the Conqueror vantage point first. You might have a focused strategy, a great product and relentless execution, but if you fail to harness the power of one key leadership perspective in your team, your impact will remain moderate. 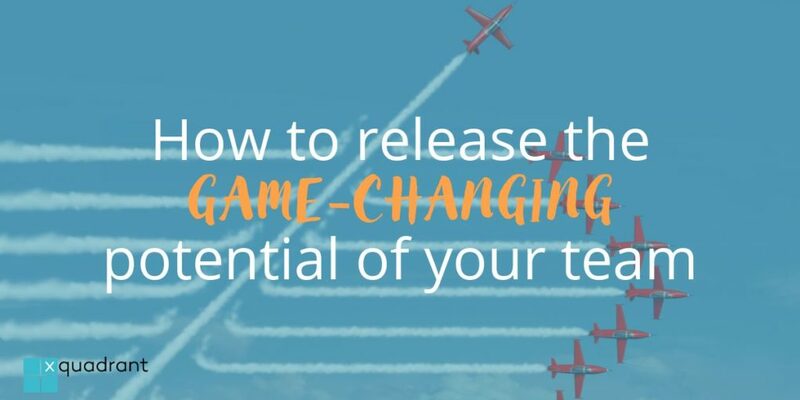 In this article we’ll cover the key to skyrocket your team’s influence and achieve your goals faster than ever. At Cisco I was in a very strong leadership team, in an incredibly strong ‘elite’ business unit. However, our team’s impact soared and eclipsed many other parts of the business unit for one key reason: our team’s leader, my manager. Not necessarily the greatest at delivering detailed work, he was a master…. I mean MASTER… of networking and communication. He was promoted through the ranks at astonishing speed, leveraged his vast internal network to catapult the visibility and impact of the team, and ended up becoming personal friends with Chairman John Chambers and CEO Chuck Robbins. This relational strength allowed our team to have an impact far and beyond most other groups in the company, becoming the go-to resource for some of Cisco’s highest-visibility marketing campaigns and work with customers. Our manager was a multiplying factor… a true catalyst for our team’s impact. Ignore the Catalyst at your peril. 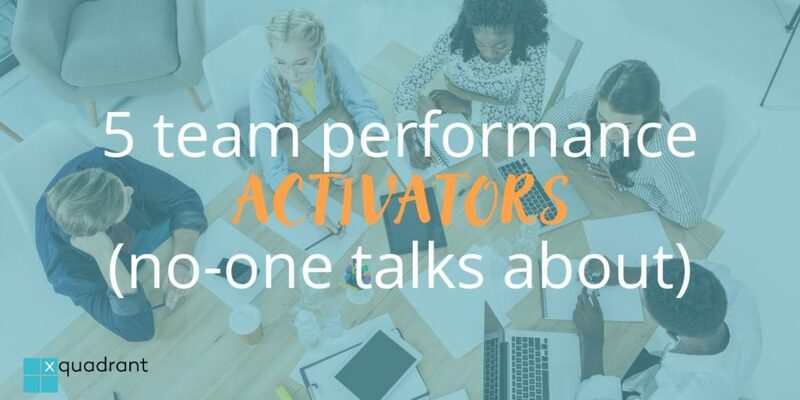 If you’re an entrepreneurial, visionary leader but are frustrated at your team’s performance or their reluctance to ‘get on board’, the good news is there’s a huge opportunity to increase performance. 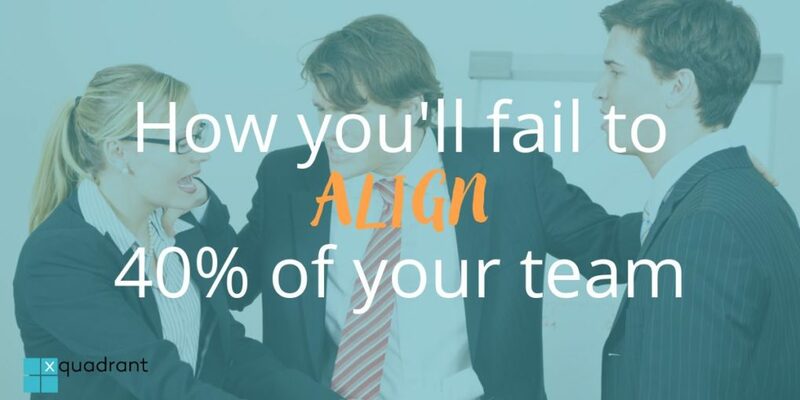 There’s an essential leadership perspective on your team that you may actually feel is holding you back, but in fact can make all the difference. I was on the board of a non-profit several years ago and there was tension in the air! The market had changed dramatically over the last couple of decades and signs of decline were starting to appear. As someone inclined to look at the world through a lens of innovation and growth, I had rather bold ideas to reimagine how we functioned and raise our game. A number of other people shared my perspective. Others on the board, however, were strongly opposed to what they saw as ripping up the success formula that had got us to where we were. They argued that we needed to get better at what we were already doing, whilst tightening our budget to reflect the facts of the situation. The situation got heated. We were at risk of splitting into factions. This is a classic progressive/conservative situation. In my clients, this often shows up as “visionary CEO vs pragmatic COO”. But before I explain how we resolved the situation, let’s step back and understand the leadership perspective that held the key to unlocking this situation. “I want more innovative thinking from my organisation.” We hear this all the time from C-Suite leaders. Well, what if there were actually game-changing ideas that you simply weren’t hearing? I was coaching the exec team of a high-growth tech firm, and had some in-depth discussions with the two co-founders, Raoul and Michael. Raoul was an entrepreneurial, strategic and charismatic leader who had taken the CEO role, whereas Michael was a quieter, more reserved individual. I noted that Michael was barely heard in the management meetings, drowned out by Raoul’s force of personality. But when I dug into the company history, all the breakthroughs had come from Michael - and the lion’s share of dead-end strategies and projects had come from Raoul! Raoul is a great leader, but those times when he didn’t listen to Michael’s holistic, long-range thinking were the times when he took the company down the wrong path, wasting time, resources and market share in the process. 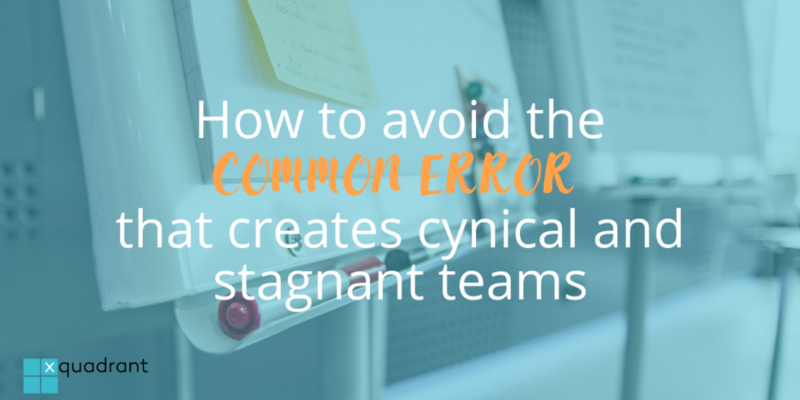 If you are a driven, strategic leader, you might be creating unnecessary resistance, stress and drama in your organisation because you’ve unintentionally shut down a critical leadership perspective on your team. Here’s how you can avoid this common trap. When I was at Cisco, a new leader came in to the company to merge two departments together and create a new business unit. The company went big on the announcement, wheeling said leader onto the quarterly earnings call with investors, and so on. Two years later, the leader had left and the organisation was in tatters. There were a number of factors involved of course, but the absence of a critical leadership perspective had a major role. We’ll pick up the story in a minute, but let’s step back and understand this absent insight. Overload and frustration. These were the two key themes emerging from our 2018 Organisational Leadership Survey. You might resonate with Valérie, a regional VP in an online advertising firm who I spoke to last week. Valérie has a team to manage but also has individual goals to achieve. She’s got a couple of star players she relies on extensively, but it’s extremely hard to get autonomy and results from the rest of the team. She’s frustrated because she knows the team could be so much better, but she doesn’t have the time. I’m frustrated because the team could be better, but I’m overloaded myself. It would take way too much time and energy to really move them forward. The problem is most management advice was written for another age. Nowadays most team managers are also ‘individual contributors’; everyone is distracted and overloaded; the team is distributed in many locations and its membership changes faster than ever. In the spring and summer of 2018 xquadrant surveyed over 150 senior business leaders in order to understand their top business goals and the organisational challenges that were limiting their ability to execute. 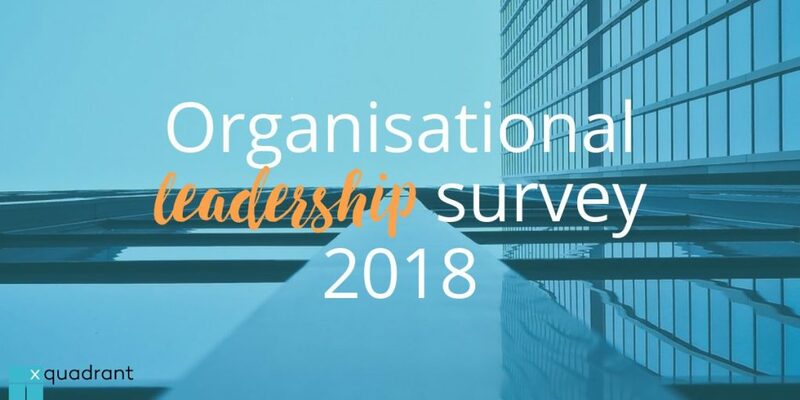 In the first article, we saw who completed the Organisational Leadership Survey and revealed their top business priorities. 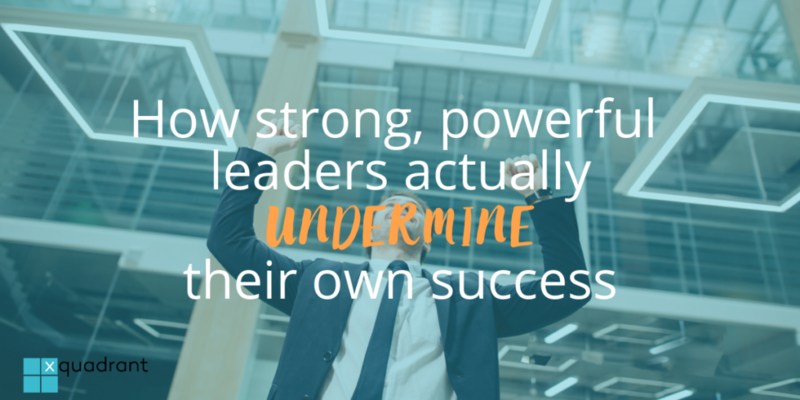 In this article we dive a little deeper and examine what leaders found are the biggest roadblocks to attaining those strategic objectives. 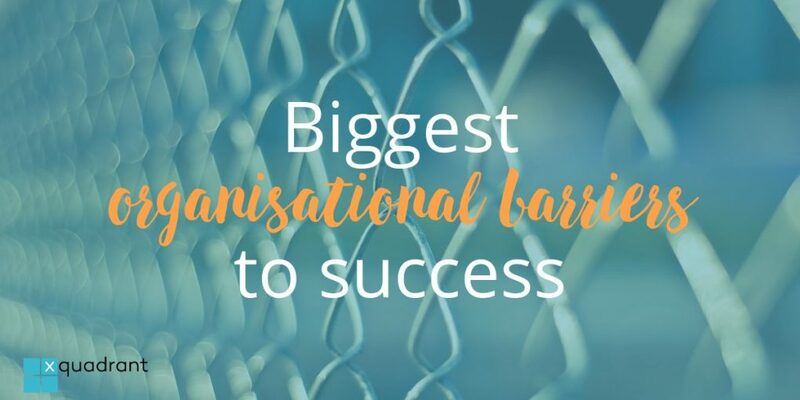 We asked respondents to choose which organisational barriers were the biggest roadblocks to achieving their #1 strategic objective for the business. Growth-oriented leaders are consistently maxed out. The overriding barrier citied by leaders in high-growth contexts is that they and their team are permanently maxed out (47%). This is prevent the strategic thinking needed to get the organisation to the next level. What's holding your specific team back? What's stopping you get the business results you want? 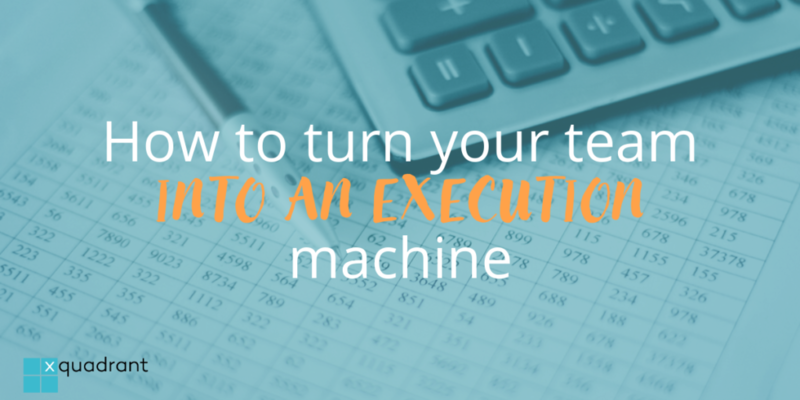 ​Until you can pinpoint the key limiting factor, it's incredibly difficult to make major progress in your team's productivity or effectiveness. To use an analogy, there's no point tuning up the engine if the car has a flat tyre and there's no point improving the aerodynamics if there's no fuel in the tank. 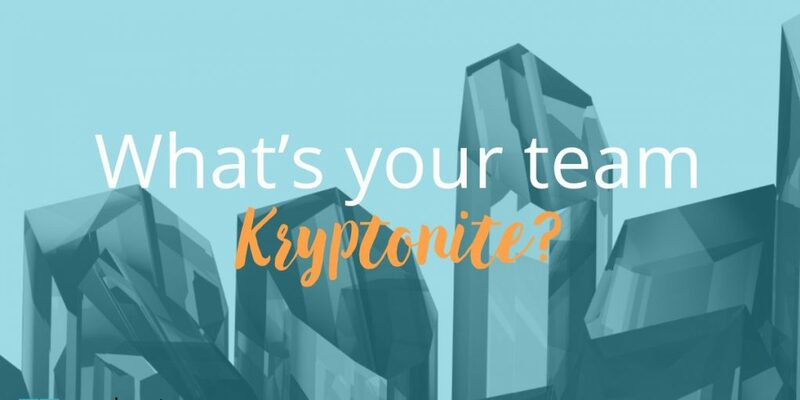 Which is why we developed the Team Kryptonite assessment. 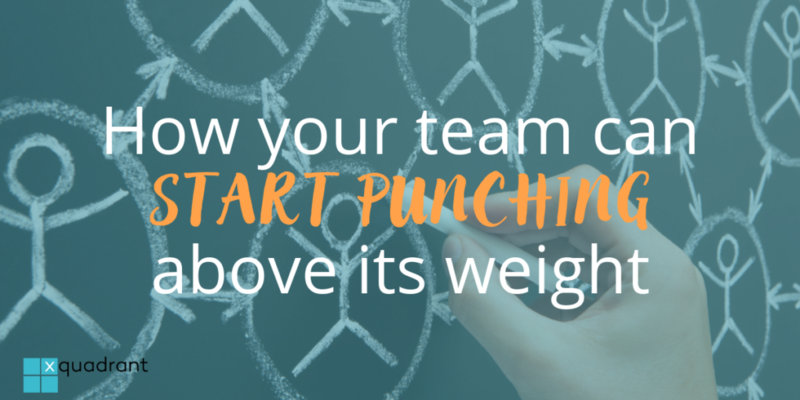 It's a simple multiple-choice questionnaire that takes under 60 seconds and will give you a quick read on the highest impact area for your team to work on.